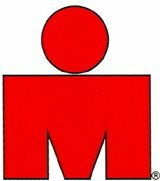 DOYOUTRI: Count Down is ON!!!! Well today was my last run until Boston. I took it really easy this week and only did like 8 miles. I used my days off to rest. I am ready. The best way to describe it is like a drag race car on the line waiting for green. I feel rested and ready to go. People ask what I want to run. I would love to go sub 3 hours and even better I would like to beat my man Lance. Either way I am going to have fun and enjoy the race. My bib number is 4489. Week 12 55.24 -35% 7:06:35 Easter Sunday.